TrueMatch™ is a powerful marketing machine. Ascendants provides the right pathways to attract customers quickly and retain them. "Consumers are searching for local information everywhere, on every device, at every point in the purchase process." and 34% who searched on computer/tablet did the same. 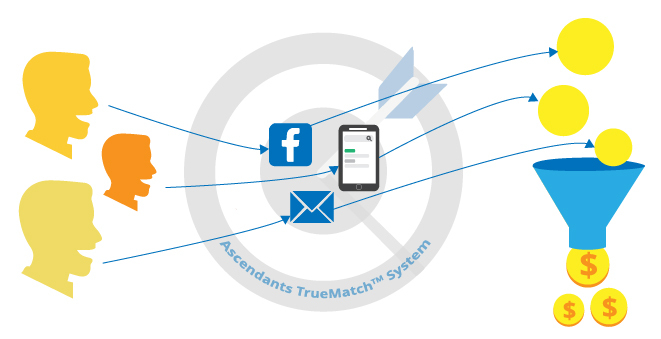 How does Ascendants' TrueMatch™ system work? How does that enhance my digital presence? These marketing efforts all work together to form thousands of relevant pathways for customers to find you. Customers are driven to take action on your website, whether it's submitting a contact form, calling your office, or making a purchase. An enhanced contact form on your website increases the number of email queries and signups that you’ll receive. We make it easy for customers to reach you. With click-to-call buttons throughout your responsive website, visitors can contact you with one simple action. A TrueMatch website is constantly driving visitors to contact you. Email submissions will continue to grow. Ascendants' system works specifically for local businesses, driving customers to your physical storefront. When customers search and find that your product or service matches exactly what they need, this increases the chances for a sale. Your enhanced website will lead customers to convert, leading to more sales and new clients. We don't just build websites. We build marketing machines."